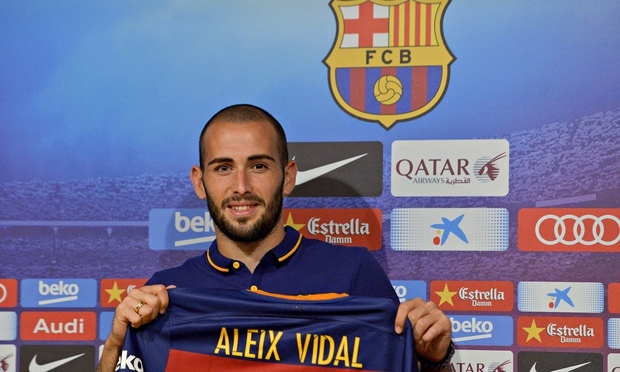 to feature for the Catalan club until January 2016 due to a Fifa-imposed transfer ban. 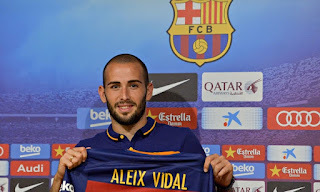 Announcing the signing on their website, Barça said: “FC Barcelona and Sevilla FC have struck a deal to bring Aleix Vidal to the Camp Nou, with the 25-year-old signing a five-year contract that will keep him at the club until June 2020. FIFA-imposed transfer ban in January 2016. Barca announced the signing a day after winning the Champions League on Saturday, completing a treble of trophies along with the Spanish league and Copa del Rey this season.